This year marks fifty years since Mazda first came to Canada, and in that time the brand has become famous for its driveable cars, upmarket design, and all-around fun driving experience. Sedans like the Mazda 3 and SUVs like the Mazda CX-5 have gone on to become some of the best selling vehicles in Canada, and when summer rolls around, no sports car dominates the streets of cities like Toronto, Vancouver, and Montreal like the energetic MX-5 Miata. If you live in the Greater Toronto Area and are looking for a new car this fall, there are many reasons to consider paying a visit to your local Mazda dealership in Toronto — Yorkdale Dufferin Mazda. Not only will you find some of the best possible prices on new or used cars and SUVs, our friendly and respectful staff are dedicated to finding you a vehicle that fits your needs and budget, and setting you up with a payment plan to match. One of the things that has always set Mazda apart from the competition is the care Mazda designers and engineers take at every stage of the design process. A Mazda vehicle is more than simply a sum of its parts, because every Mazda is built with one goal in mind: a superior driving experience. The best example of this is undoubtedly Mazda’s signature SKYACTIV driving technology. SKYACTIV isn’t just a new engine; it represents a whole new car design philosophy. With SKYACTIV, every component of the driving experience is integrated to make it as fuel-efficient and interconnected as possible. 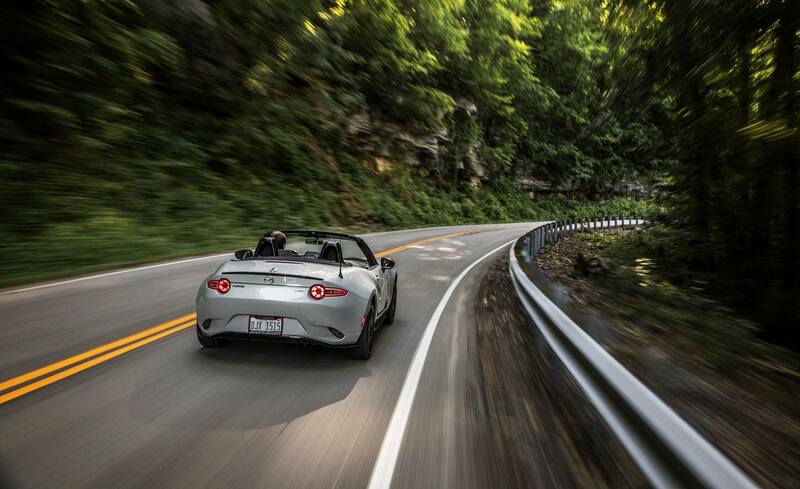 It’s why Mazda vehicles manage such great fuel economy ratings, and it is the key to Mazda’s famously good handling. Every Mazda vehicle is built to maintain the best possible standards of performance for the long haul, which means that buying used Mazda cars is a great way to get a car that can keep going the distance for years to come for less. At Yorkdale Dufferin Mazda, we have a wide range of used Mazda cars and SUVs, including many of our most popular models. All of our used Mazdas are hand picked for quality and performance, and many of them are certified pre-owned. At Yorkdale Dufferin, we are proud to offer a huge selection of Mazdas to match any lifestyle. Are you looking for a sporty sedan that can get you to the office on weekdays and your favourite camping site on the weekend? The Mazda 3 hatchback can do both. Looking for a three-row SUV that can seat the whole family but which won’t cost an arm and a leg at the pump? The CX-9, Mazda’s award-winning mid-size SUV, has received high praise from industry insiders, automotive journalists, and customers alike, and the 2019 CX-9 delivers even more power and grace than the award-winning 2018 model. If you want to purchase a new or used car this fall, the industry-leading design, exceptional quality, and impressive range of options guarantees that you will find what you are looking for at Yorkdale Dufferin Mazda. With more than 15 years in business, we are Toronto’s premium Mazda dealership, and we promise we can help you find the car that is right for you. Give us a call today, and find out about our latest fall offers!